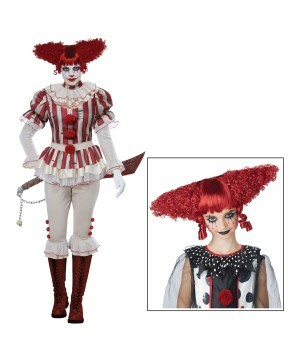 Creep Clown Women Costume includes striped dress with pom pom accents and lace neck piece. Available in women size Small/Medium, Medium/Large, and Extra Large. The Scary clowns are back and this time, IT has a not so funny friend with him. 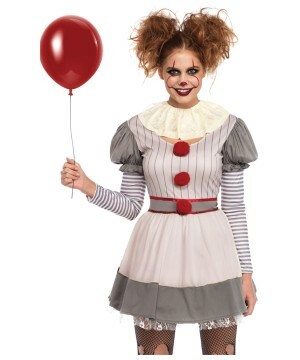 This female Pennywise costume features a striped dress with pom pom accents and a lace neck piece. 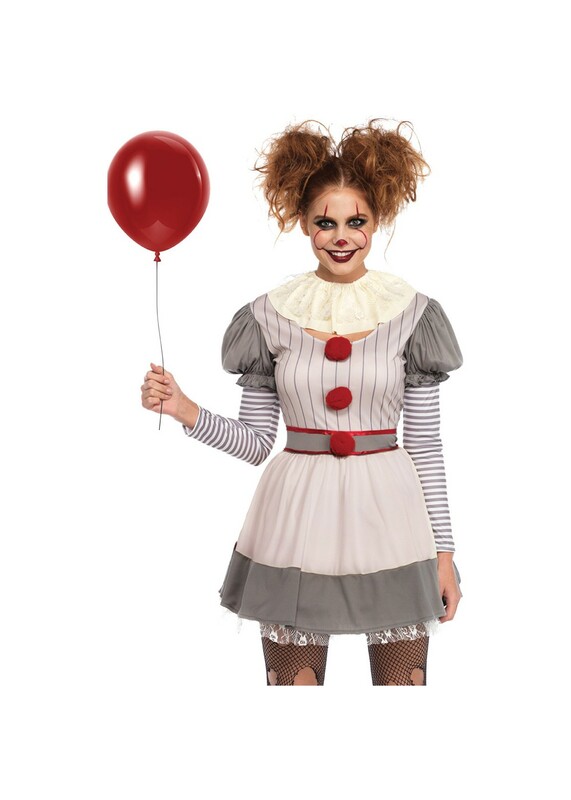 Add your own signature red balloon to lure those innocent victims. For the final touches, style a messy do and apply some dark makeup for a really creepy effect. 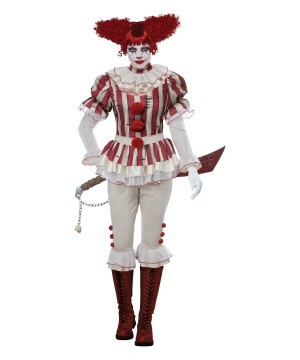 This costume is great for pairing with our classic movie IT costume for a creepy clown couple vibe! 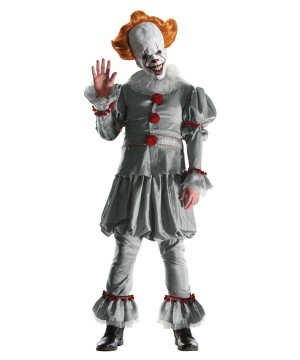 Review(s) for " Creepy Clown Women Costume"